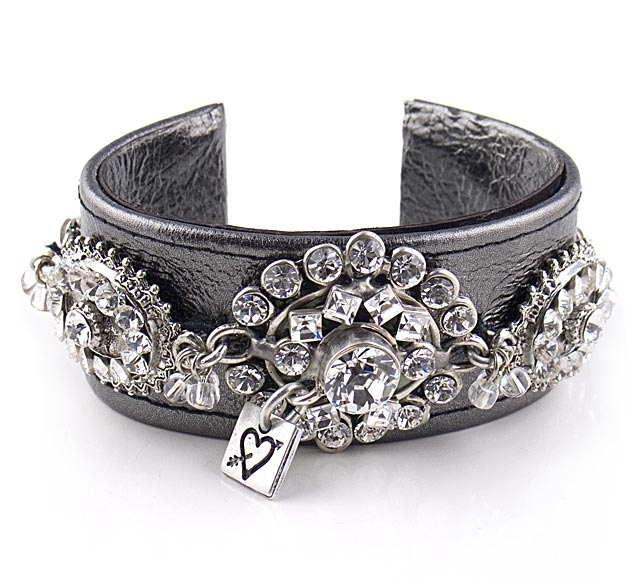 Leather cuff bracelet with Swarovski crystals by Otazu. This stinking designer bracelet features a gunmetal leather band covered all around with swarovski crystals. Bracelet measures 6.6cm (2.6 ") in diameter and 3.3cm (1.2") in height. Diameter: 6.6cm / 2.6 "